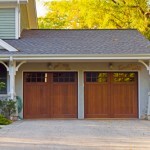 Garage doors are a utility much like any other in a house. With age, they can wear because they have so many moving parts. Without proper care, a garage door can literally tear itself apart if left to its own friction as it runs from day to day. But with many confusing parts involved, it can make a homeowner wonder what impact they can have on the longevity of their own garage door. Here is a guide to a few things you as an owner can do to keep up on your garage door maintenance. 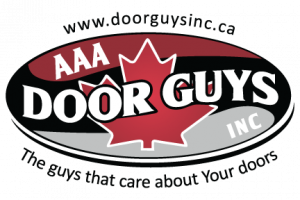 Pay Careful Attention to Signs of Distress- The easiest and most important way to prevent a garage door from being damaged over time is to pay careful attention to any hiccups in quality during the door’s lifetime. A garage door isn’t like a car that needs parts maintenance before they break, but a garage door part may act or sound distressed before it does break. When this happens, make sure to call a professional to fix the door before it does manage to break itself, and since garage doors can be dangerous, leave it to a professional to do proper garage door maintenance. Lubricating the Moving Parts- As mentioned earlier, the garage door parts can be damaged by the friction of operation, and lubricant can prevent friction and allow for smooth operation. This should only take a few minutes every year and can keep the garage operating smoothly. Keep the Garage Clean- This may not affect a garage door in the same way lubricant does, but keeping the photocell path clear of objects and the door itself clear of debris can help the garage door avoid wear. This may not have so much to do with maintenance, but can make the garage door look and feel more cared-for. Keeping a garage clean and cared-for is usually representational for an attitude of garage door maintenance that will help the door overall.